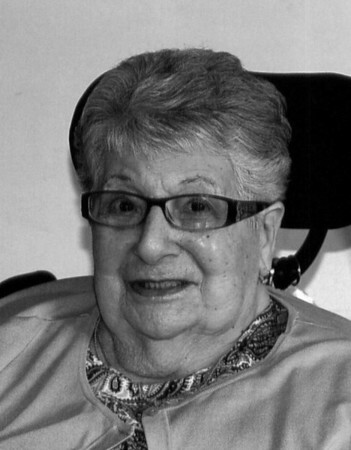 Kathryn (Netti) Fiorito, 98, of Forestville, died on Saturday, Jan. 26, 2019. She was the wife of the late Dominic Fiorito. Kathryn was born on Aug. 13, 1920, in Bristol, daughter of the late Silvestro and Isabella Netti. After Kathryn's childhood, she moved to Forestville, where she lived the remainder of her life, on the Netti family homestead. She was a lifelong member of St. Matthew Church and was dedicated throughout her life to her family. Kathryn is survived by her two sons and their wives Bob and Sandy of Bristol, Rick and Dina of Maryland; she took great pride in her grandchildren, Justin and his wife Carlene, Patrick and his wife Jennifer, Tyler, and Megan; special to her heart were her four great-grandchildren, Joshua, Olivia, Matthew and Oliver and many nieces and nephews. She was predeceased by siblings Mary, Dominic, Stella, Antoinette, Victor, Margaret, Clara and Lillian. Kathryn's family extends their sincere gratitude for the wonderful care that she recently received from Vitas Hospice and the entire staff at The Summit at Plantsville, where she resided for the last four years. Calling hours will be held on Tuesday, Jan. 29, 2019, at O'Brien Funeral Home, 24 Lincoln Ave., Bristol/Forestville, starting at 9 a.m. until 10:40 a.m., followed by a procession to St. Matthew Church, 120 Church Ave., Bristol, for a Mass of Christian Burial at 11 a.m.. Burial will follow at St. Joseph Cemetery, Plainville. In lieu of flowers donations can be made to St. Matthew Church, 120 Church Ave., Bristol, CT 06010 or St. Paul Catholic High School, 1001 Stafford Ave., Bristol, CT 06010. To leave an online message of condolence, please visit Kathryn's tribute page at www.OBrien-FuneralHome.com . Posted in The Bristol Press, on Sunday, 27 January 2019 20:12. Updated: Sunday, 27 January 2019 20:14.